Ecuador’s President Lenin Moreno claims Wikileaks founder Julia Assange was spying from the Ecuadorian embassy in London. Two German lawmakers and a Spanish MEP have called on their countries to grant Assange asylum. Ecuadorian President Lenin Moreno on Monday said Wikileaks founder Julian Assange had violated his asylum conditions by using the Ecuadorian Embassy in London as a “center for spying” during his seven-year stay. 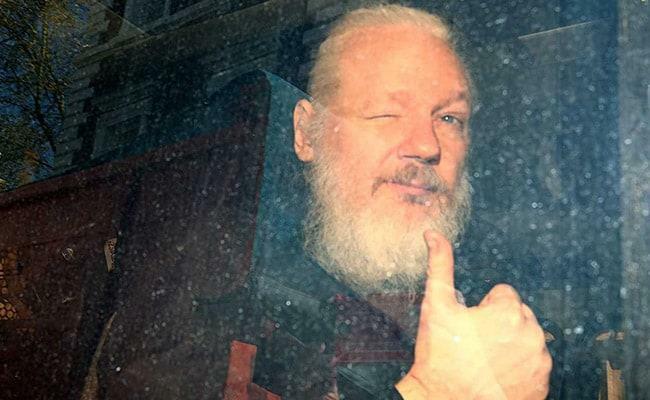 “It is unfortunate that, from our territory and with the permission of authorities of the previous government, facilities have been provided within the Ecuadorian embassy in London to interfere in processes of other states,” he said in an email interview with British newspaper The Guardian. Two lawmakers from Germany’s socialist political party The Left and a Spanish member of the European Parliament said they had protested on Monday outside London’s Belmarsh prison, where Assange is being held until his next scheduled court appearance on May 2. “The Ecuadorian government is now trying to divert attention from its breach of the law by engaging in a disinformation and slander campaign against Assange to poison public opinion on Mr Assange,” the trio said in a statement. “Extradition to Sweden should also be avoided, because there, too, a transfer to the USA cannot be ruled out,” they added.